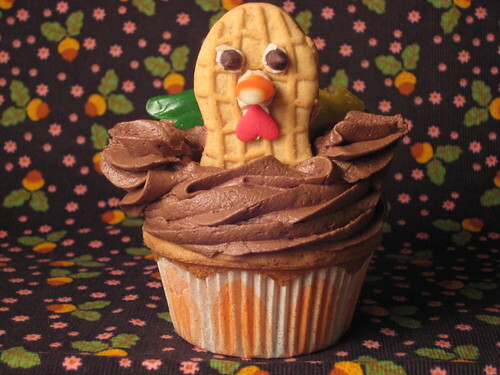 Day-after Thanksgiving turkey cupcake anyone? Did you give your metabolism a boost yesterday morning and head out to an area Turkey Trot? A Thanksgiving Day tradition almost as much of a ritual--or more so for some--as watching the Macy's Thanksgiving Parade or following the football games, the trots help get the Thanksgiving action started and rev the engine for the eating that ensues. Big or small, timed or untimed, Turkey Trots run the gamut in terms of race specifics, but regardless, they draw runners from near and far who are either looking to race or simply looking to run without caring about a finish line. If you did run and want to know how you finished, check out some of the Turkey Trot results posted below from races around the country. Just click on the event name to view the times.